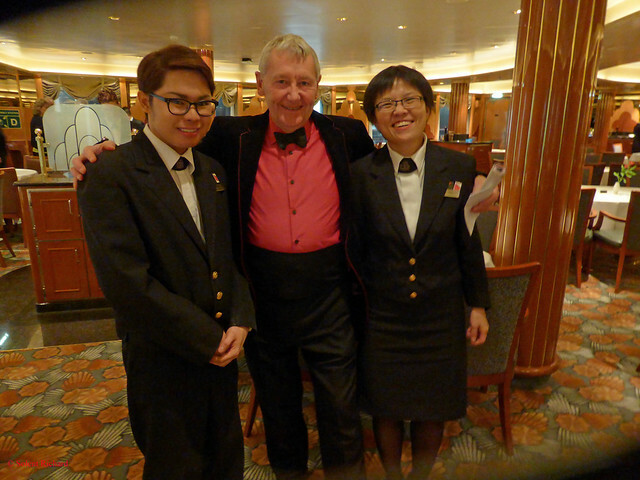 My wife and I have just completed a very satisfying short cruise on board Cunard’s Queen Elizabeth from Southampton to Hamburg and return. This was very much a last minute decision with the intention of killing two birds with one stone. 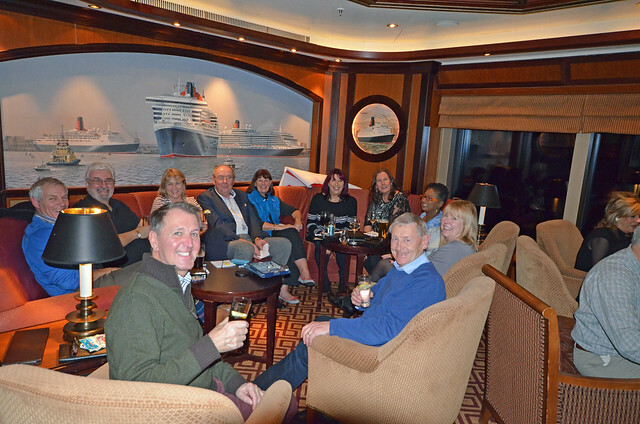 Firstly a number of members of the “We Are Cunard’ Facebook Fanzine were planning a get together and secondly, we were very keen to visit the delightful German couple with whom we made friends on our Europa 2 cruise last September. 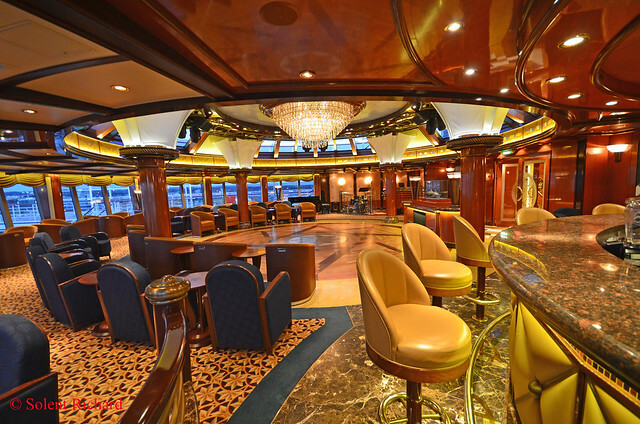 …though there have been some changes following a recent refit. 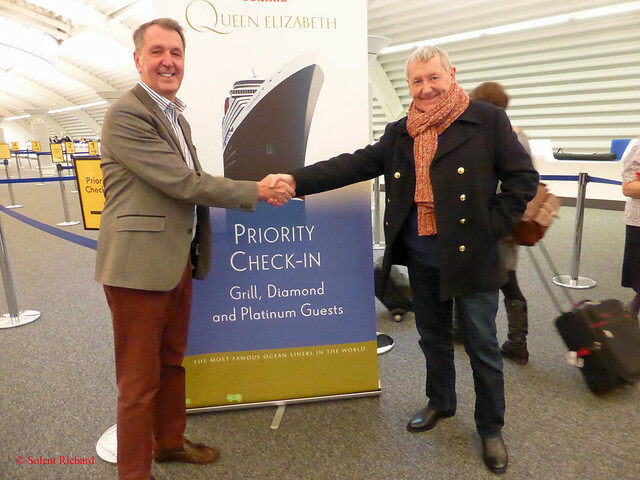 Southampton’s Ocean terminal has also been upgraded with the security screening facility enhanced. 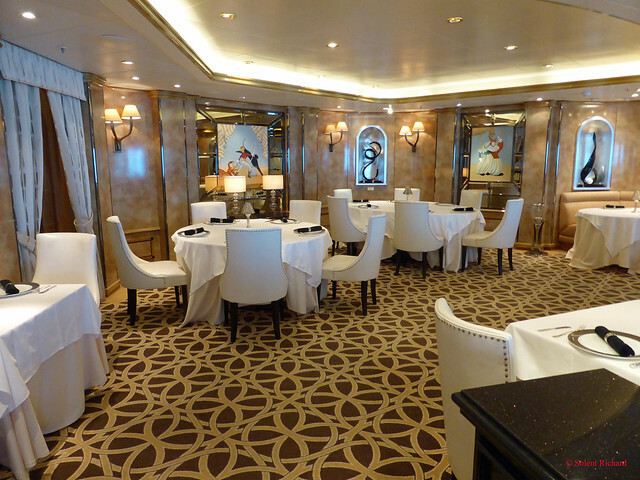 We were soon on board and, as is usual with Cunard, the staterooms were ready for immediate occupation. Luggage was also delivered promptly. One of the improvements of the recent refit was the fitting of wall mounted flat-screen televisions and exceptionally good they are too. Other areas that received attention during the refit included a revamp of the Images photographic studio. It’s now high tech and gone are the wall to wall photo racks. 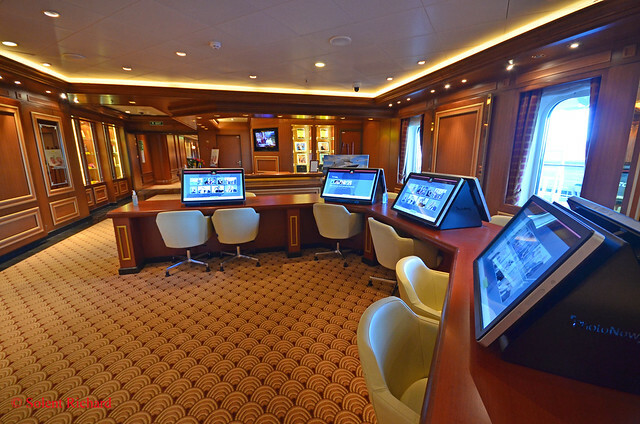 Passengers now log into the screens and a very easy menu helps one navigate through the cruise collection by date or venue or event. A good facility that should placate those who constantly bickered about the waste of photographic paper but who still won’t buy the photographs: they haven’t come down in price. 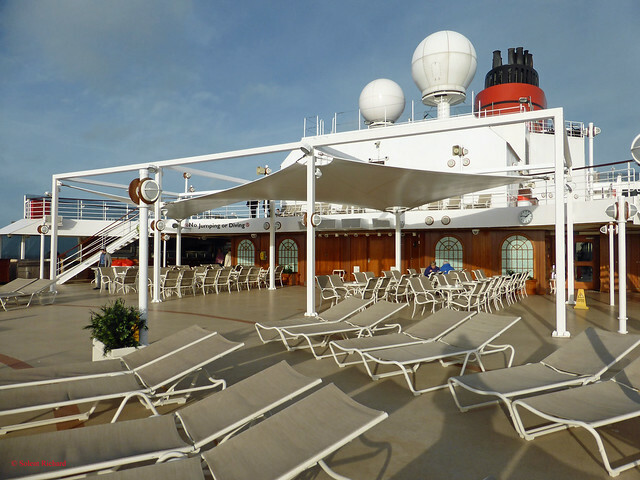 The prime purpose of this is believed to be to facilitate a warmer climate ‘al fresco’ dining area as an extension to the Lido’s evening ‘alternative dining‘ facility. There is currently a $15.00 cover charge levied for this facility. 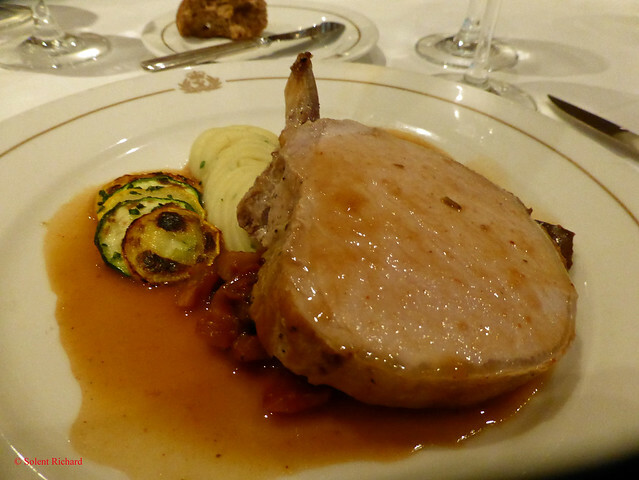 …who pulled the stops out and gave us impeccable service including an additional ‘silver served’ tray of selected vegetables each evening. Thank you both, you were great. 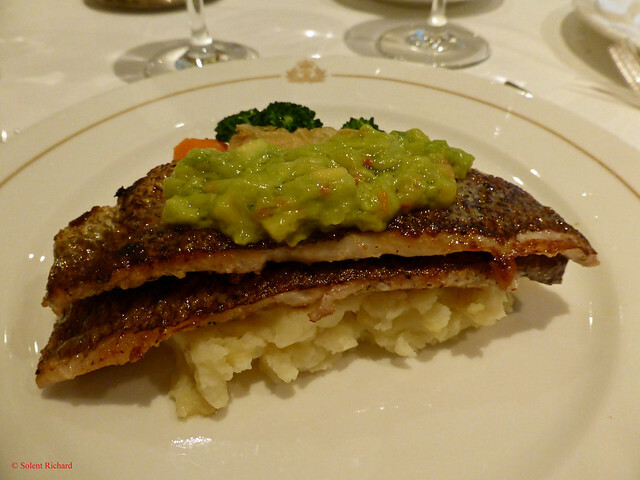 With the exception of three meals my wife and I took all other meals in the Britannia Restaurant. 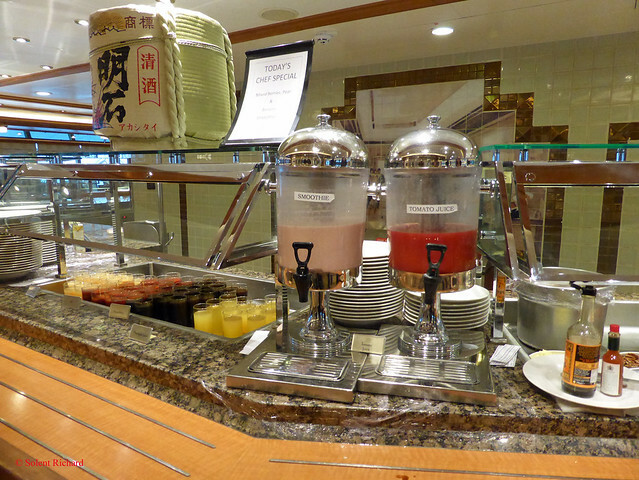 Open seating breakfasts and lunches were convivial affairs and the service always impeccable. 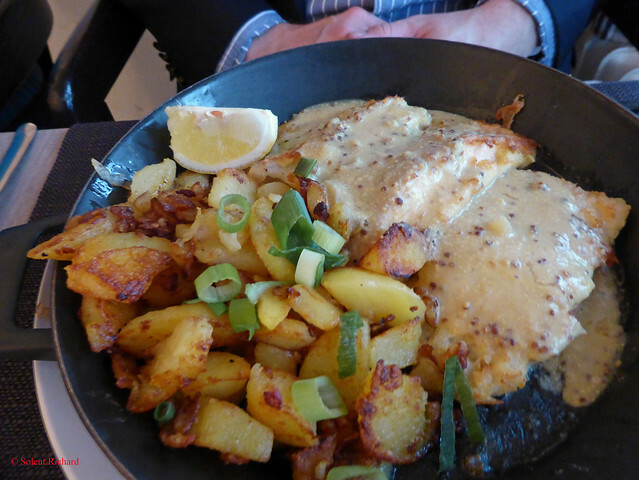 The Veranda has an ‘a la carte’ lunch menu, items charged individually as opposed to a fixed price cover charge for the meal. 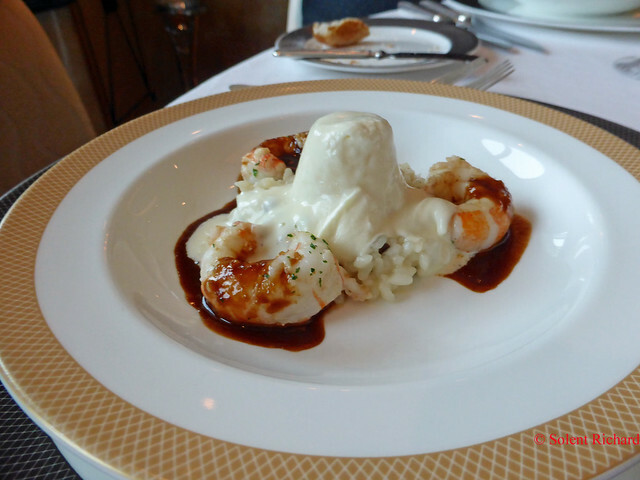 On two occasions we used the Lido Buffet – lunch on arrival day when the Golden lion was not serving Pub Grub and a breakfast when we had over slept after a very late night in the Yacht Club – Queen Elizabeth’s late night disco. Entertainment was very good. 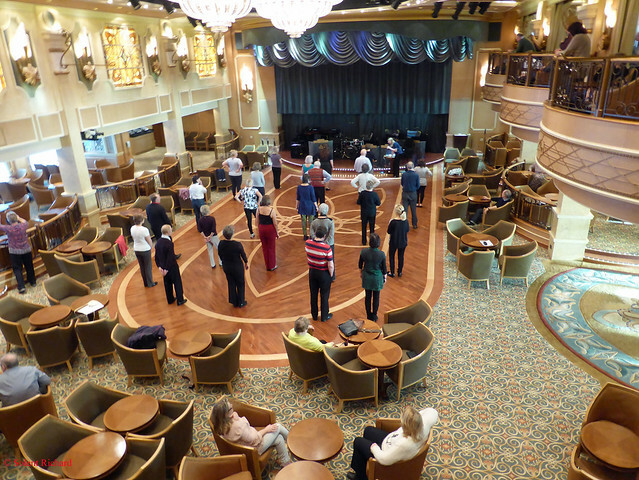 Apart from the usual high Cunard standard of general music and dancing there were some great shows. The first evening we watched a superb Beatles Tribute Band named ‘The Beatles Experience’. They did a second show on the last night which though not up to the standard of the first night was still very good. 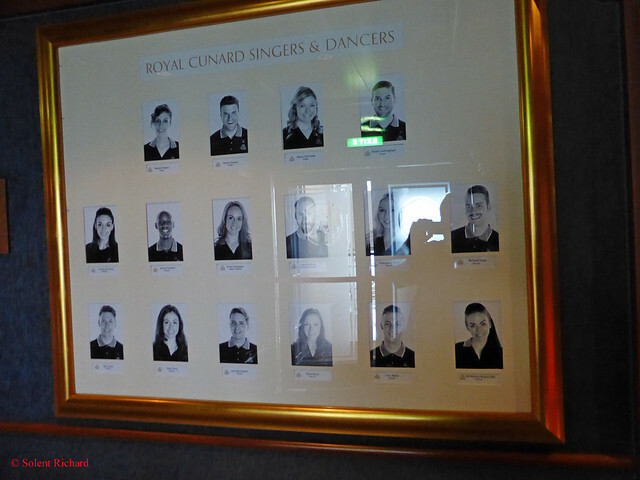 The Royal Cunard Singers and Dancers performed a production show entitled ‘Palladium Nights’. We had not seen this production and enjoyed it immensely, especially the James Bond musical themes that drew the show to an end. As always the daytime activities were many and well coordinated. I managed to attend one very good talk by Michael Barratt, the BBC journalist famous for his ‘Nationwide’ series of programmes. Dancing classes were also popular, both ballroom and Latin, and, as I witnessed, Line Dancing..
Modernised along similar lines as London’s Butler’s Wharf, the Speicherstadt offers a similar experience to its London counterpart. 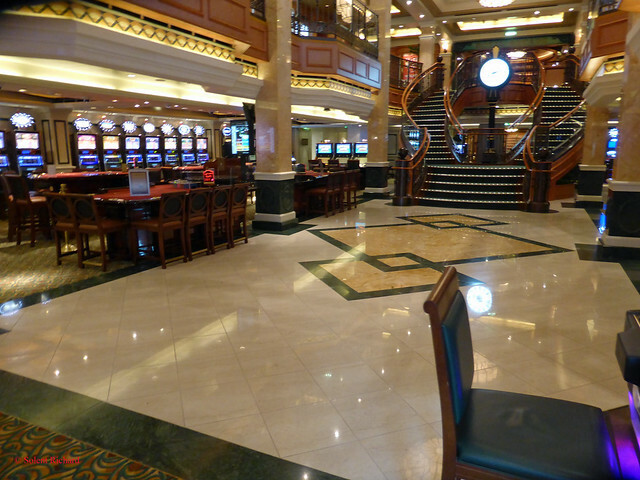 Shops, cafes, museums, restaurants and desirable residential accommodation and numerous tourist attractions. 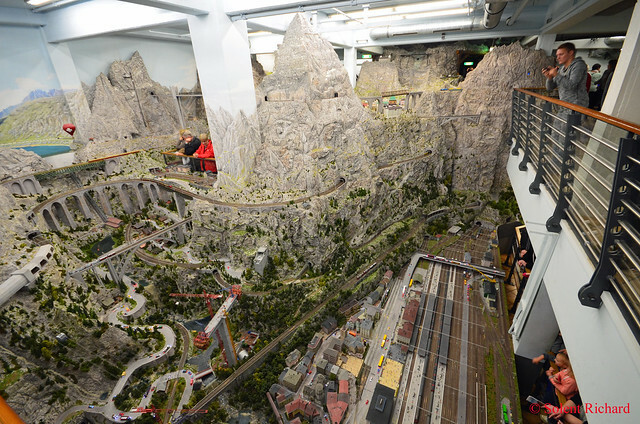 Having spent some two and a half hours at the Miniature Wonderland our hosts then took us west along the River Elbe to the former fishing and pilot village of Blankenese. 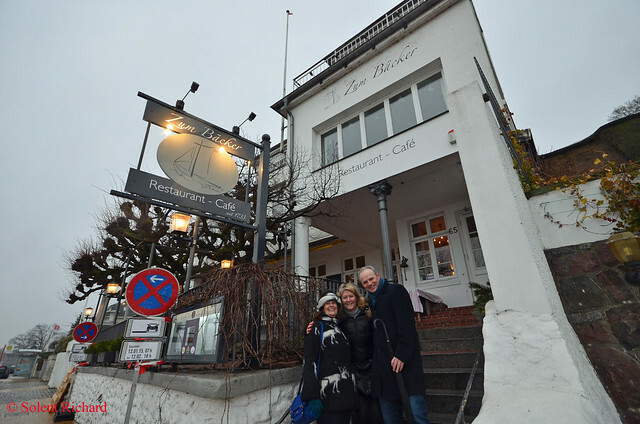 Located right on the Elbe Blankenese is a popular destination and residential area for wealthy citizens of Hamburg. 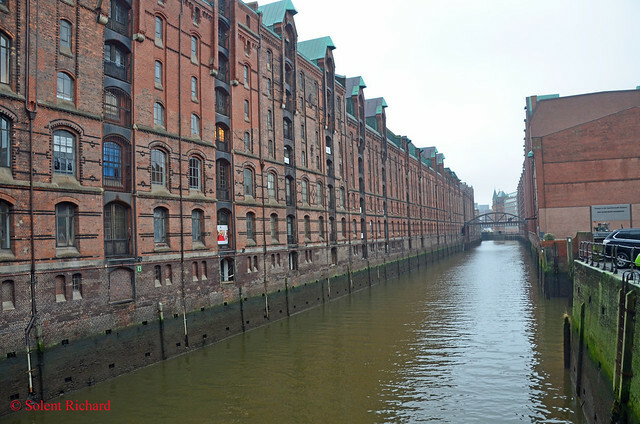 …while admiring the activity of the ships heading into, and out of, the port of Hamburg. 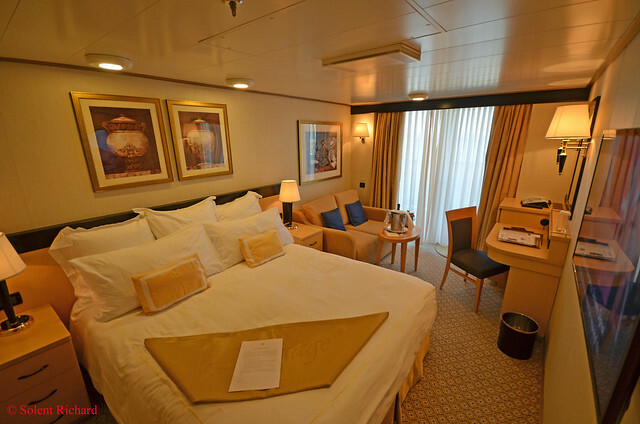 As we sailed from Hamburg the Captain included in his announcement that the weather forecast for the next 48 hours was not good and that there was a likelihood that our arrival back in Southampton would be delayed. 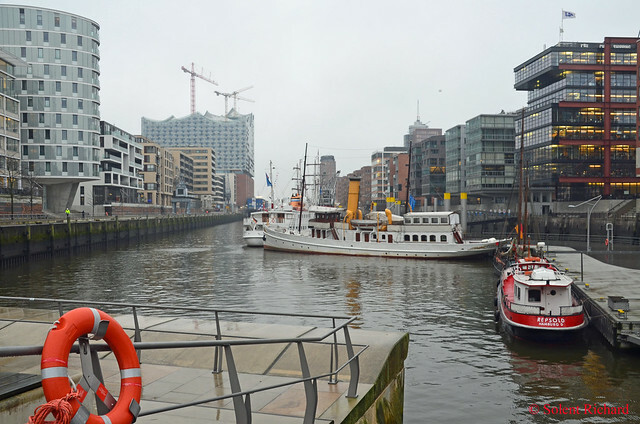 At Hamburg a large number of German guests had embarked who were destined to continue, after the Southampton stop, on the world cruises of both Queen Elizabeth and the Queen Mary 2. 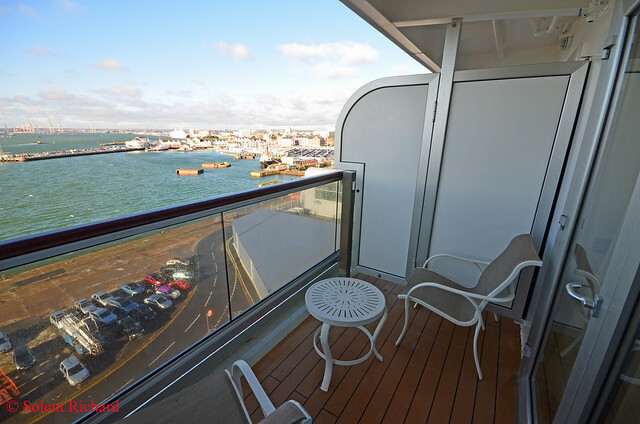 He promised that if our arrival into Southampton was delayed additional entertainment and on-board activities would be organised as well as special assistance for those who would need to alter their onward travel arrangements. Complimentary telephone lines were opened for those who needed them. He was as good as his word. We were kept reliably informed of the situation and the sea and weather conditions reminded all passengers of exactly what the situation was. Having said that Queen Elizabeth proved equal to the often 70 mph winds and rode the swell well. We eventually arrived at Southampton some eight and a half hours after schedule and, considering the priorities of various groups, disembarkation ran very efficiently. 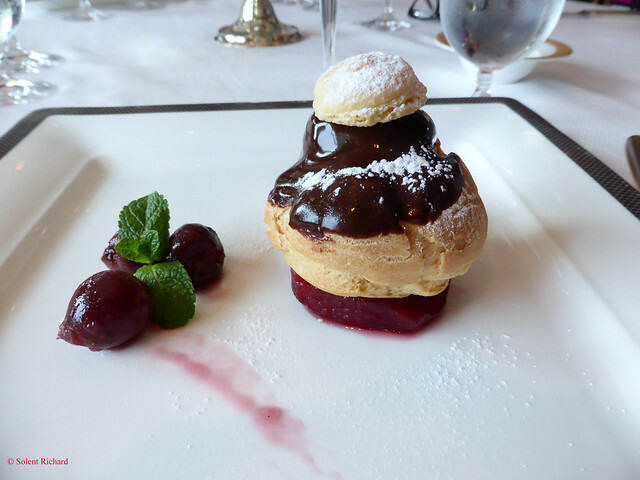 This was the second time we had sailed on Queen Elizabeth though the first time in the Britannia Restaurant. All be it that this was a short cruise we had an excellent time. Accommodation was as expected, clean, comfortable and well serviced. We found all staff very good, polite and helpful. 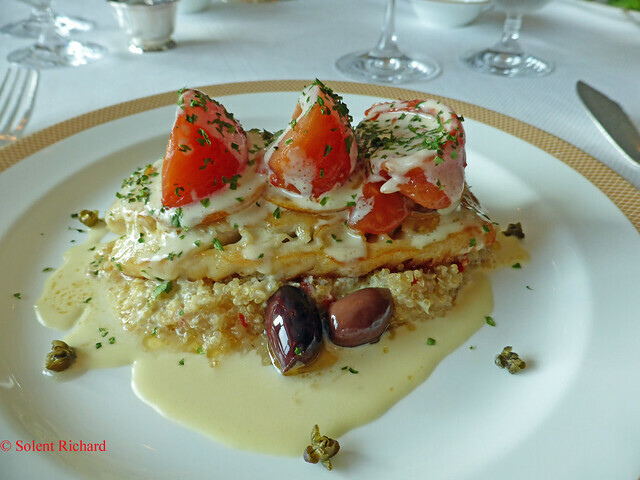 Food was also very good wherever we ate be it the Lido, Golden Lion, Britannia restaurant or The Veranda and the entertainment was more than sufficient to meet our requirements. 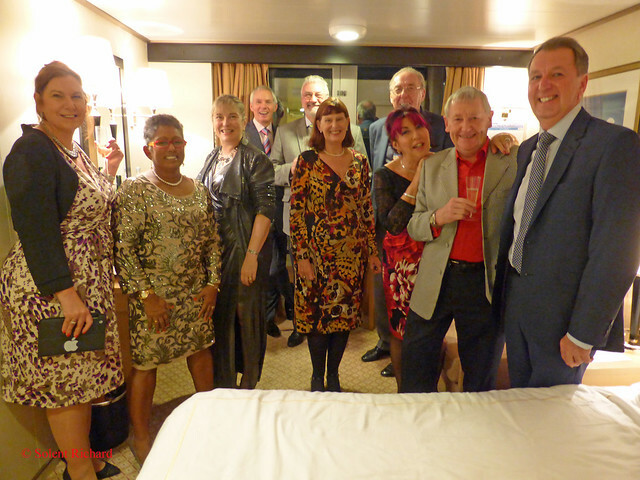 We had a great cruise with some great company and the perfect venue for a short break. Why not be the first to hear of new postings. Simply join the other followers by clicking the ‘Follow’ link on the front page and you will be alerted by email immediately a new post appears. 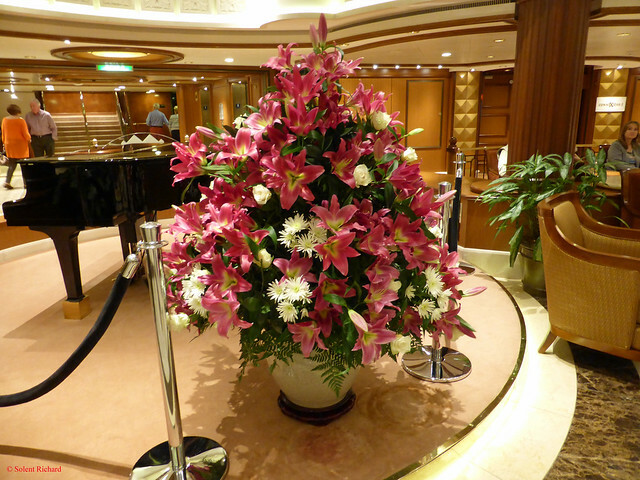 Thank yo so much for sharing your impression during this cruise. 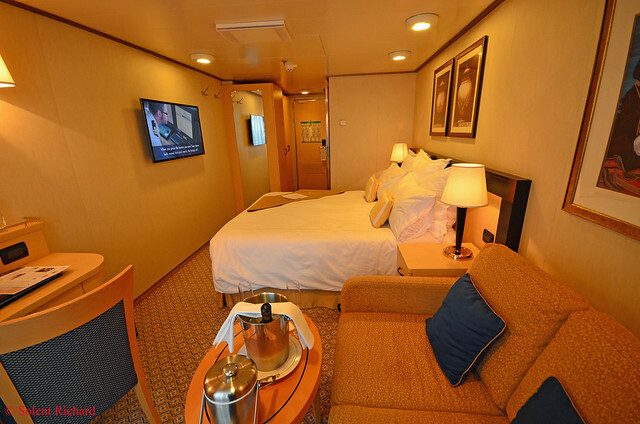 Many more happy cruises for you! 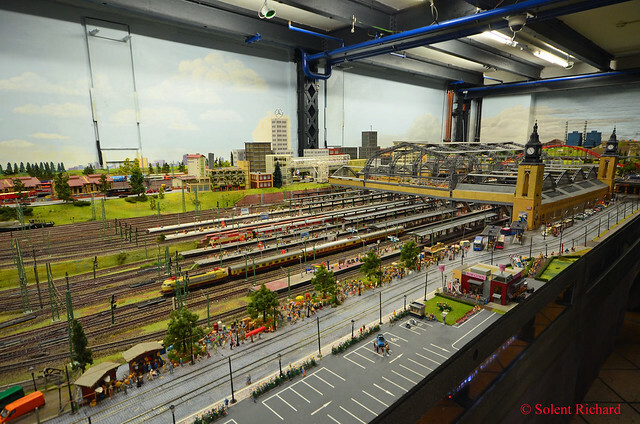 Glad you paid a visit to the “Miniaturwunderland” in Hamburg – they expand it continuously. It’s amazing and always worth a visit! Most excellent as always and I’m sure I recognise all those Fanzine members! 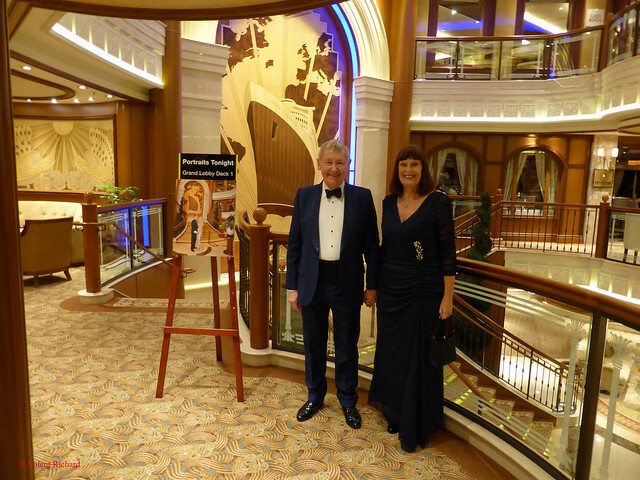 As to be expected Richard a very detailed and informative review loved the photo’s and the suit, maybe next time…. Due to sail in QE later in the year occupying a BC grade cabin so your excellent blog has been a joy to read. Thank you.